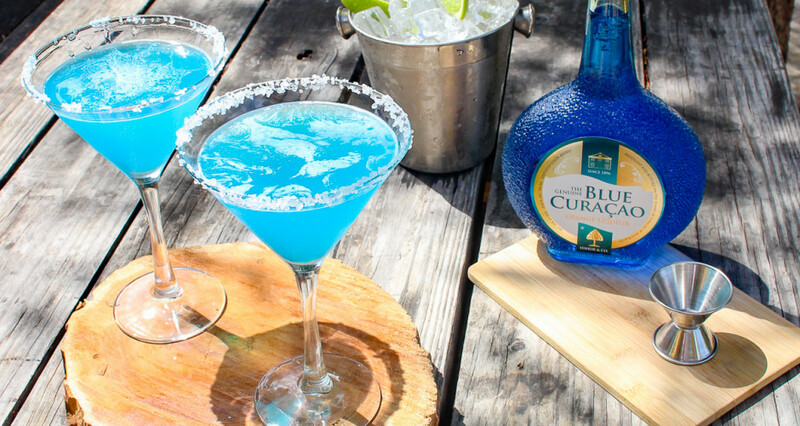 If you are looking for a more festive alternative for the classic Margarita than the Blue Margarita is a unique option. It is an electric blue drink that will wow your friends and makes any moment a party. Add the ingredients in a shaker, fill it with ice and shake well. Take a chilled Margarita glass, moisten the glass rim with lime juice and dip the rim into salt. Strain the cocktail into the glass. Use a channel knife to carve a lime twist. Take the lime twist and slice for garnish.